1. 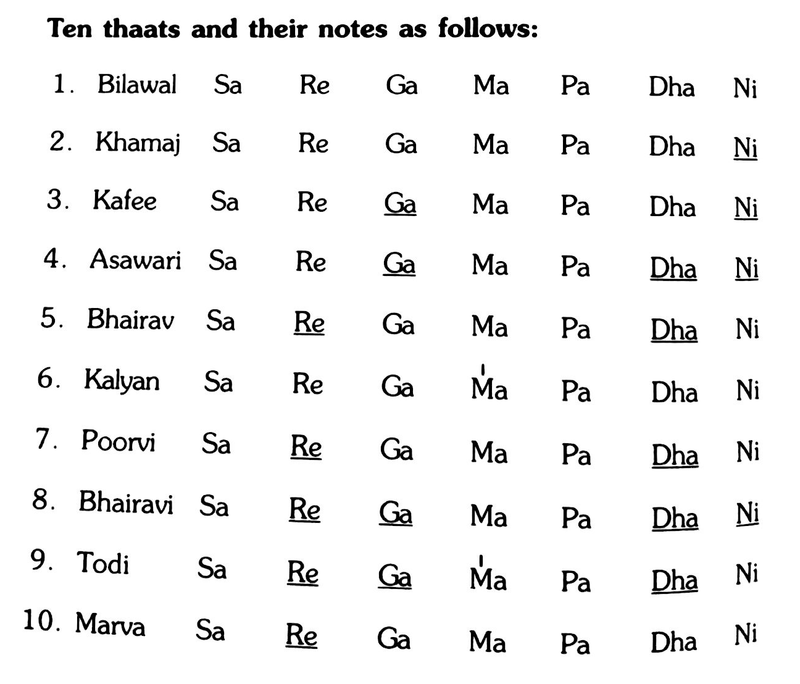 A Thaat must contain the seven swaras (notes) in the regular form. 2. The Shuddha, Komal or Tiura Swaras must appear one 3. It is a mere scale, a combination of notes. It does not essentially need to please the listeners ear. 1. Madhya Saptaka (Medium Octave) — When the sound naturally comes out of the throat without any pressure, it is called the throat voice. 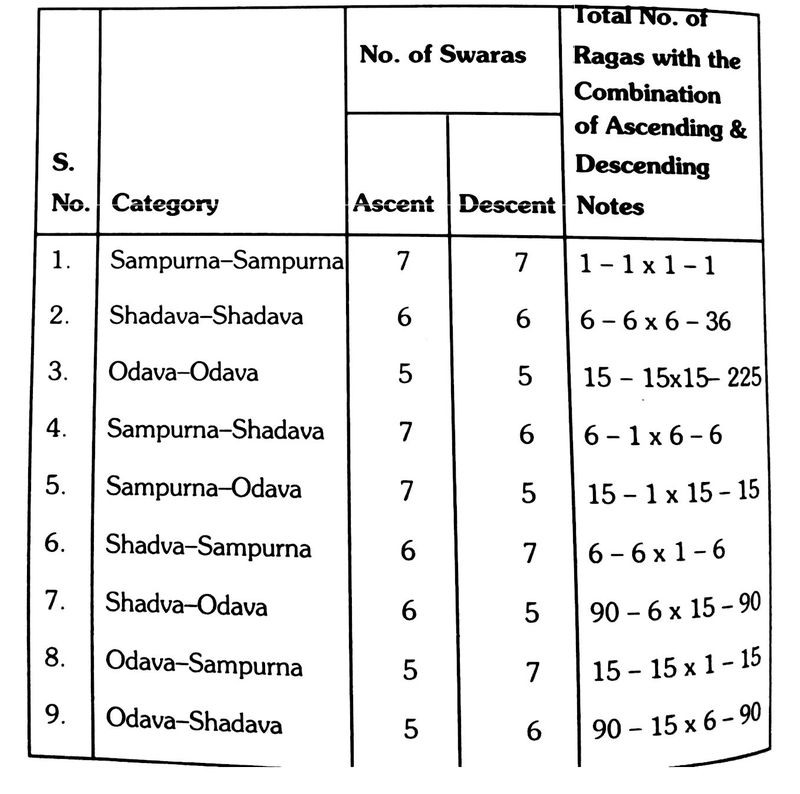 The Medium octave or Madhya Saptaka. 2. Mandra Saptaka (Lower Octave) — When the sound comes out entirely by the pressure of the lungs, it is called the chest voice or Mandra Saptaka (Lower Octave). In this Saptaka the pitch of the sound is lower than the medium octave.